Thank you for choosing Morrow County Hospital for your healthcare needs. If you have health insurance coverage, our Patient Accounting staff will submit a bill for the healthcare services you received. You will be billed after your insurance company processes the claim and makes payment to Morrow County Hospital. You will receive a bill for out-of-pocket expenses, including but not limited to, deductible, co-insurance and co-pays. If you insurance company denies the claim, you may be billed for those services. 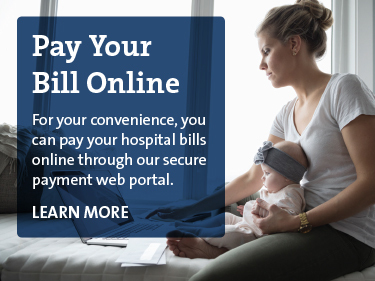 If you have questions regarding your hospital billing, please call (567) 241.7051. Morrow County Hospital offers financial assistance for those who qualify. 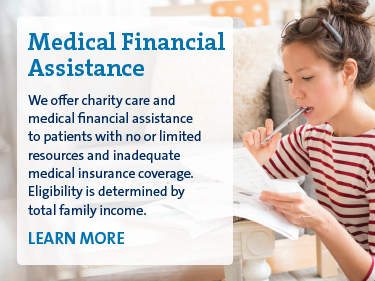 Please contact the Morrow County Hospital Financial Assistance Advocate at (567) 241.7051 for additional information about all of the financial assistance programs available. Morrow County Hospital accepts all major credit cards and debit cards, personal checks and cash. The Patient Accounting office is open 8 a.m. to 4:30 p.m., Monday through Friday. You may receive an additional bill from other providers. Please see the list below of our additional providers’ contact information if you have questions about your bill. Please note: Some physicians are independent of the hospital, and may or may not be contracted with your insurance company. Please verify with your insurance company if a physician is in your network. Please refer to the phone number on the back of your insurance card.